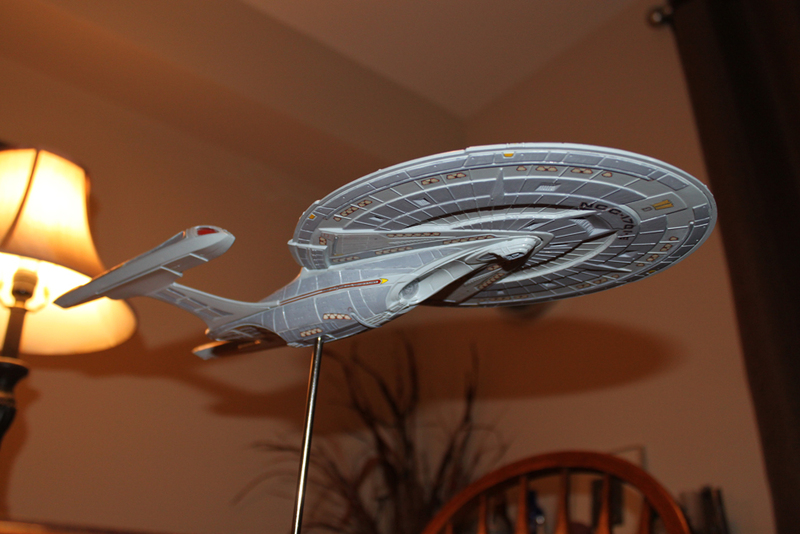 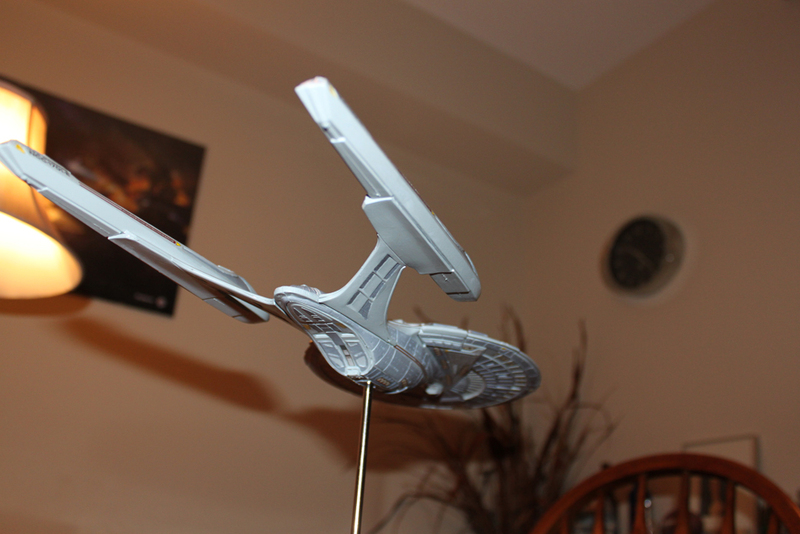 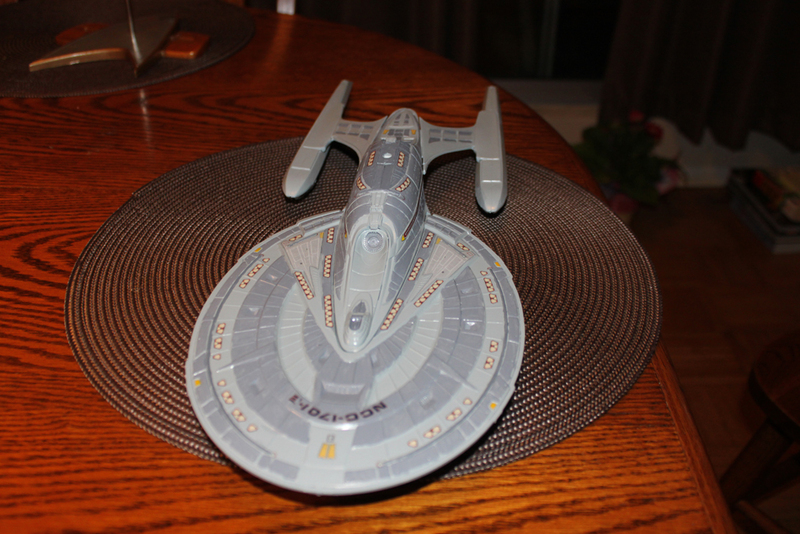 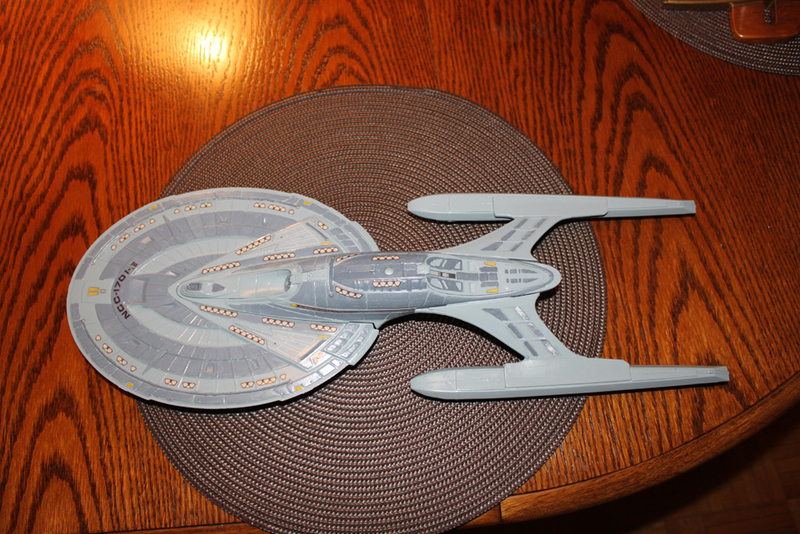 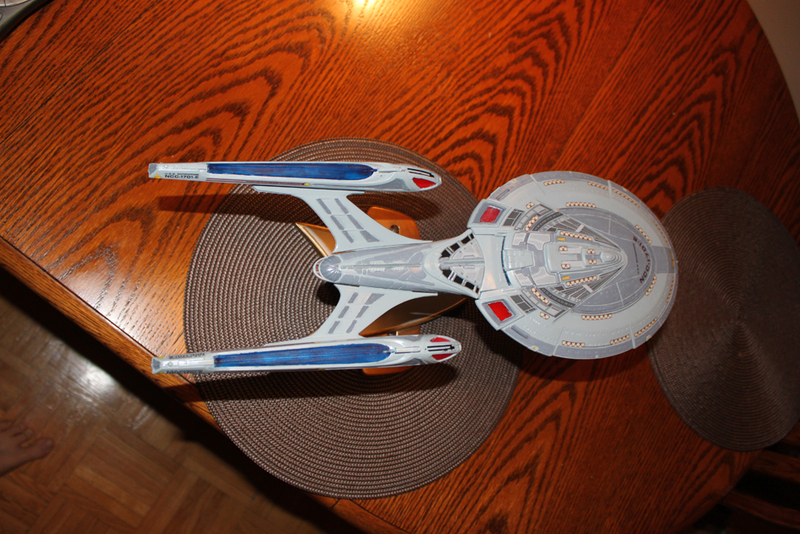 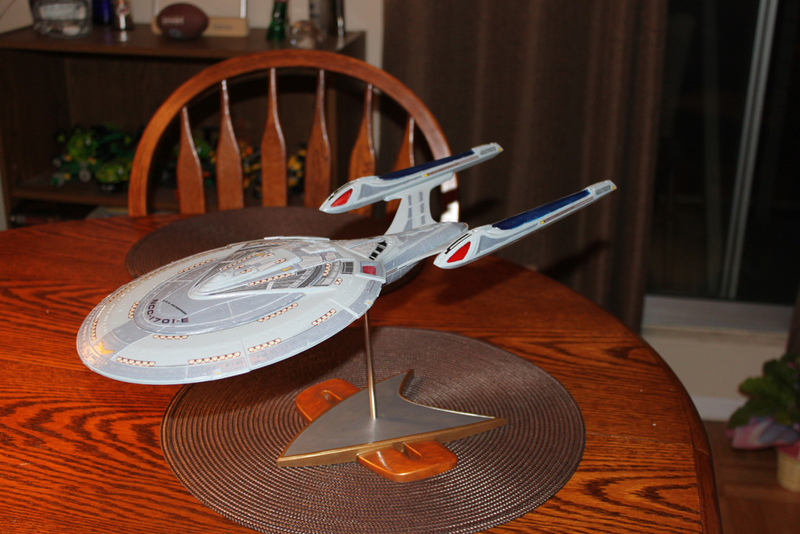 As a follow-up to Friday’s post, I finished the Enterprise E model. 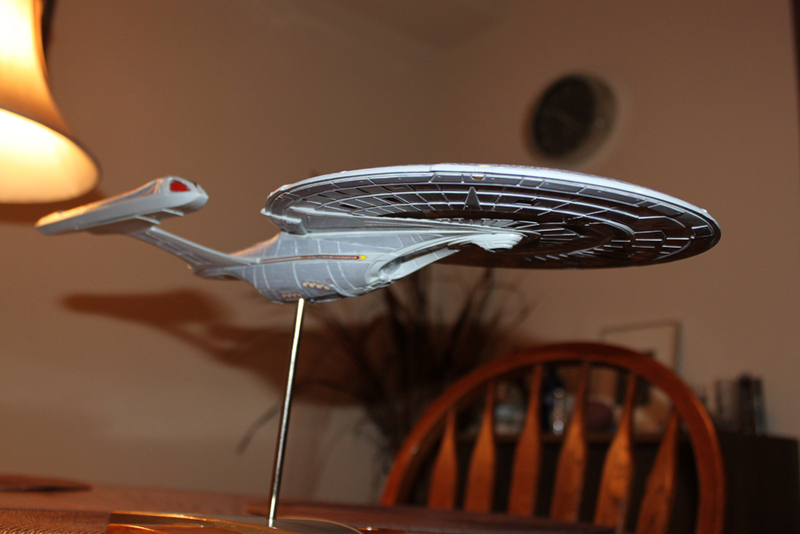 It turned out really, really well, considering I haven’t done a model in probably 15 years. 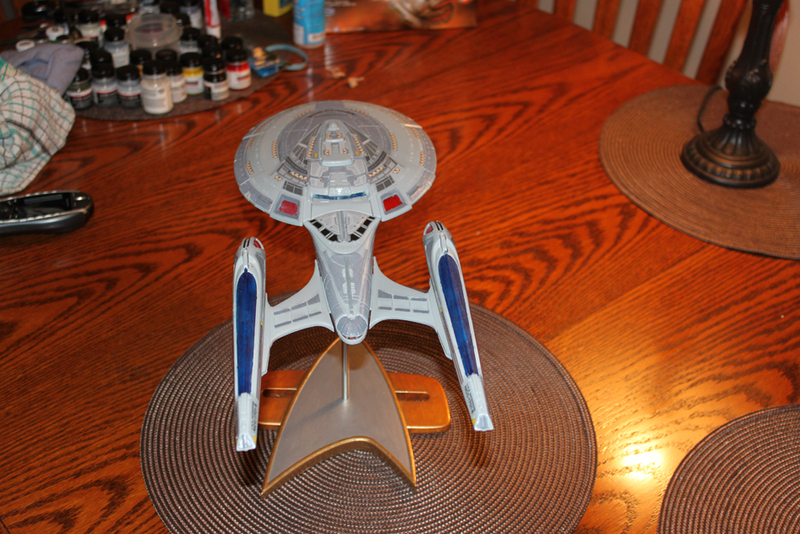 The paint job isn’t near as perfect as I was hoping for. 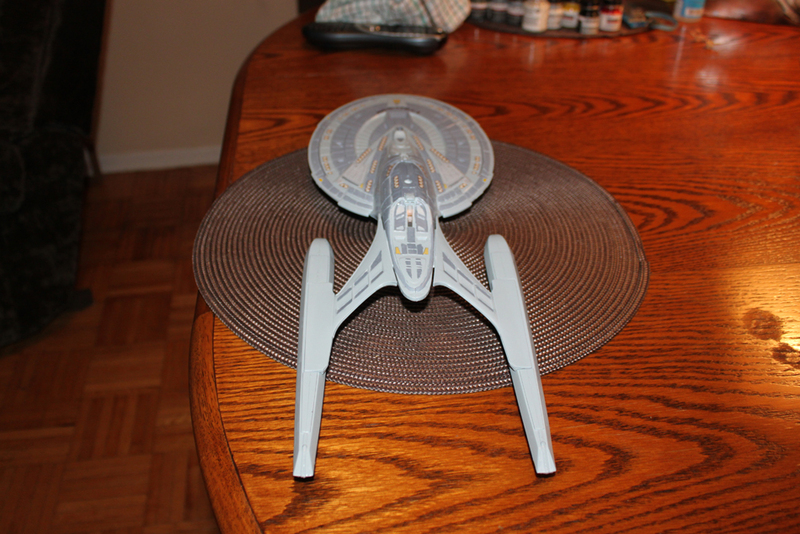 The overall color was darker than I was hoping for, and I couldn’t keep my hands steady enough, so some of the lines are a bit rough. 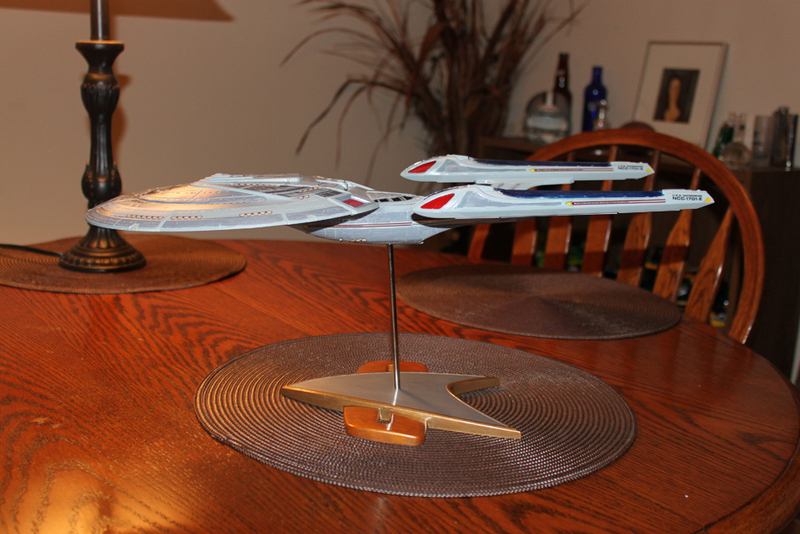 Once I got the decals all placed and the clear coat applied, most of the imperfections went away, and the whole thing turned out pretty good.